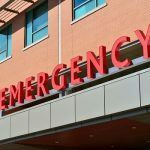 Sacramento Highway Collision Causes Injury – A highway collision between two vehicles on Pioneer Memorial Bridge in Sacramento injured one person. According to the California Highway Patrol (CHP), the recent crash occurred on the eastbound side of Interstate 80 just west of the 5th Street off-ramp and blocked the number one lane for a period of time. The name and extent of injury to the individual in the accident has not yet been released. The CHP is in charge of investigating the cause of the collision. The accident occurred shortly before 2:00 in the afternoon between a Subaru Outback and Honda. Fire Department personnel were summoned to the site of the collision to tend to the individual who was injured. It was reported that the person was taken to a hospital nearby for further treatment and evaluation. It took about half an hour to clear the accident site, which caused a backup of traffic. 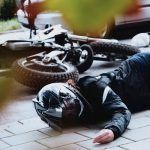 Head injuries: From a minor concussion to a traumatic brain injury, these types of trauma are caused either by the impact of the highway collision or from being tossed about inside the vehicle. Treatment depends on severity. While some minor injuries resolve themselves in a few weeks, severe traumatic brain injury may result in the need for lifelong care. Broken bones: This common type of injury may occur in any place in the body. However, injuries to the arms and knees, referred to as dashboard knee, are frequent in a highway collision. Broken bones may be simple breaks that heal after a few weeks in a cast or may be compound fractures, which require surgery and a longer healing time. Back injuries: Strains and sprains can be treated easily and can resolve in time. However, more serious injuries to the spine or back can cause long-lasting pain and limit mobility. Spinal cord damage may result in permanent paralysis. The extent of paralysis depends on the location of the break. Abdominal injuries: The most common injuries to the abdomen in a motor vehicle highway collision are bruising and damage to the spleen. However, any organ can be damaged, and internal bleeding can occur, which is life-threatening. Cervical strain or sprain: Injury to the neck, also known as whiplash, is caused by the rapid back and forth movement of the head during the impact of the collision. Cervical strain or sprain can go on for an extended period of time and for years in some cases. Distracted driving: Distracted driving is becoming one of the leading reasons highway accidents happen. With today’s technological avalanche of gadgets vying for your attention while driving, it is little wonder that this is occurring. Other forms of distraction are other passengers, eating or even applying makeup. It is important for drivers to pay attention to their surroundings and the road instead. Drunk driving: While distracted driving is gaining in terms of accident causation, drunk driving still holds the number one spot. Over 10,000 people died due to drunk driving, a large portion of which was on the highway. Combining highway speeds and the inability to use good judgment and physical ability to stay safe when impaired lead to a highway collision. Driving when tired: Many commuters find themselves yawning as they begin their trip home or to work. When the trip is monotonous as so much highway driving is, it is small wonder that drivers nod off and pose considerable harm to other drivers and themselves. Taking time to rest adequately before beginning the trip may be advisable. Sudden lane changes: Lane changes can cause accidents if the driver does not check traffic before changing. It is important for drivers to use their turn signal ahead of changing lanes. I’m Ed Smith, a Sacramento car accident lawyer. 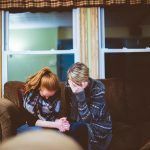 Being injured in a highway collision is a traumatic experience both physically and financially. Having an experienced injury attorney at your side can let you concentrate on getting well. Reach out to me at (916) 921-6400 or (800) 404-5400 if you are outside of the local calling area. You can also reach me online by using our convenient contact us page. 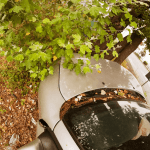 I’ve helped residents of Sacramento with all types of car accidents, dog bites and wrongful death cases since 1982 obtain the compensation they deserve. I am a long-time member of a nationwide forum of lawyers called the Million Dollar Advocates that only invites those who have won more than $1 million for a client to join its ranks. 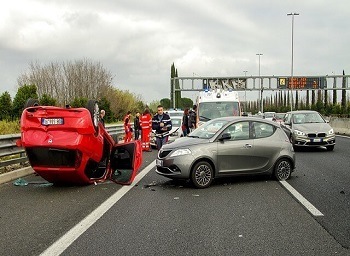 Photo Attribution: https://pixabay.com/en/car-accident-clash-rome-highway-2165210/Sacramento Highway Collision Causes Injury.